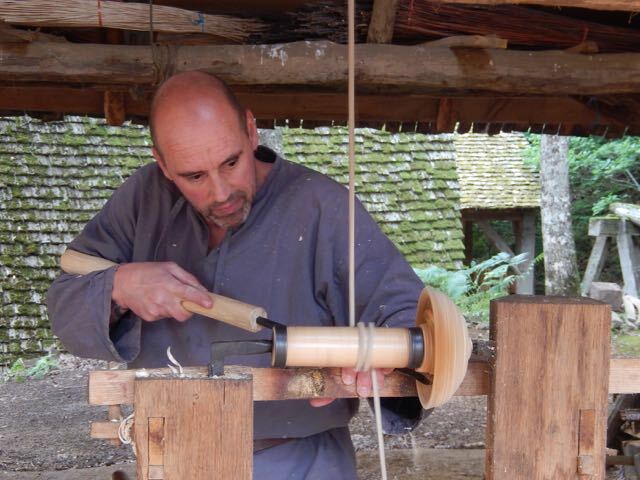 HomeMy Travel BlogCastle Guedelon, Fontainebleau, Touring Brian and Carrie Too! 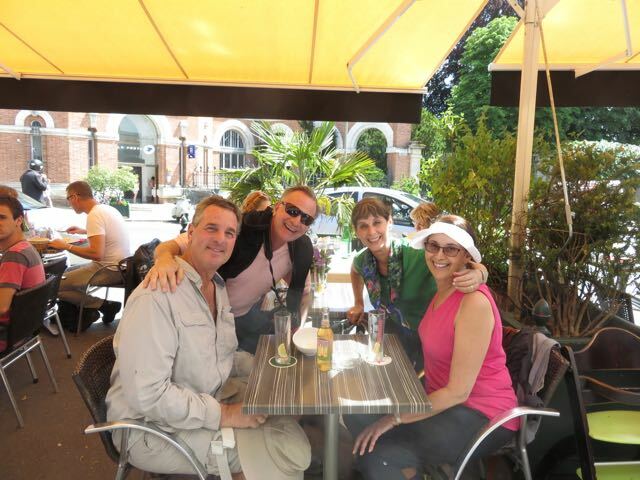 We dropped off our friend Steve at the Briare train station, and the following day picked up his brother Bryan, and sister-in-law Carrie. 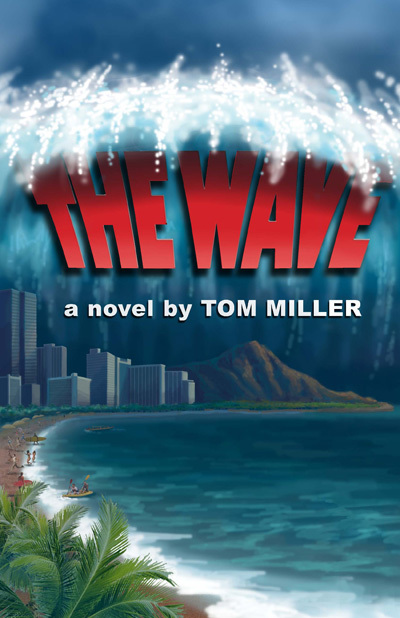 I grew up with Steve and his family, and have known them for over fifty years. Bryan and Carrie flew in that day from Los Angeles, and took a car straight to Rabelo. 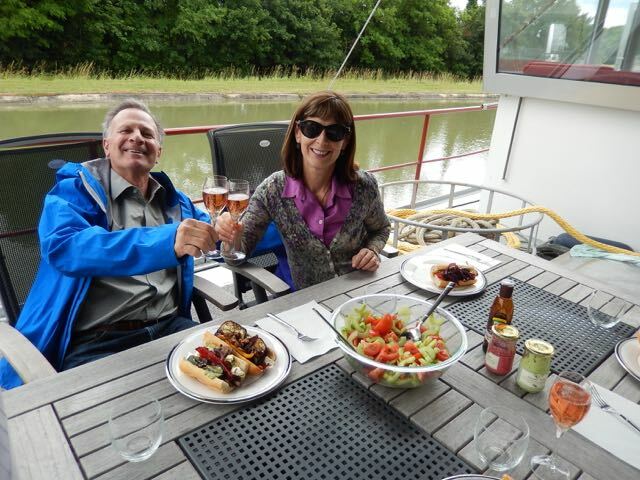 We hit the ground running with a champagne lunch, and a short cruise to Briare. 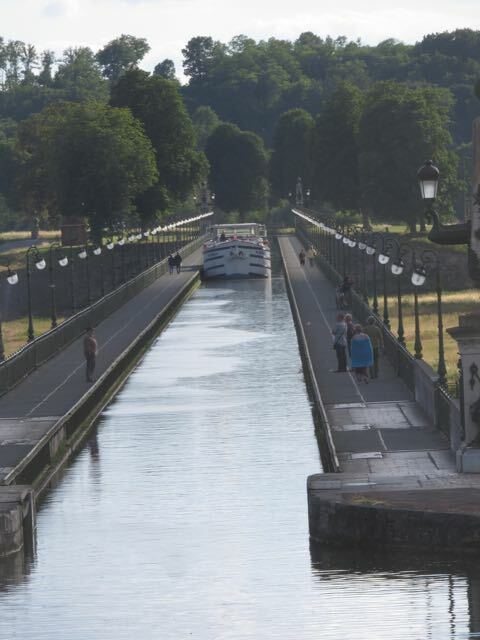 We happened to be on the part of the canal that crossed over the Loire River on the Briare Aqueduct. This is always a highlight for our guests as this magnificent structure was designed by Gustav Eiffel and built from 1890 to 1894 by 4,000 workmen. Bran and Carrie arriving after a long flight. A champagne lunch for our friends. 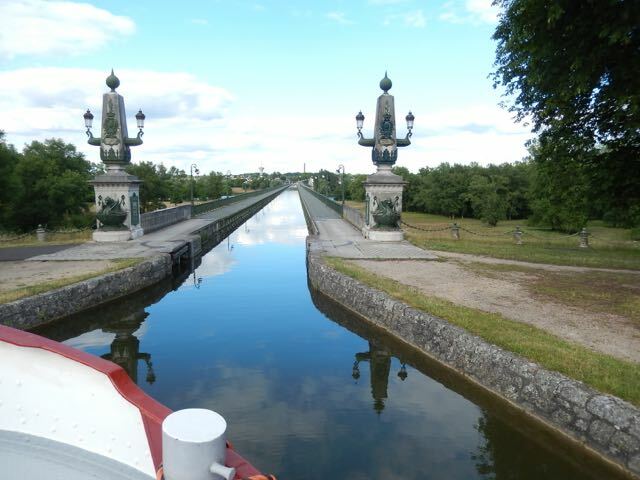 Rabelo entering the Briare Aqueduct. 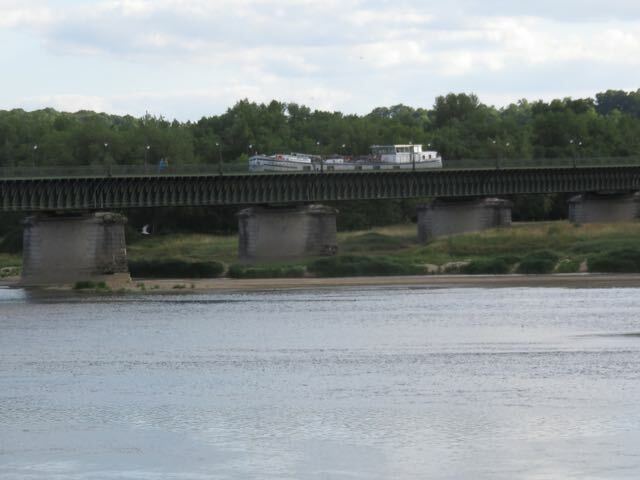 Rabelo crossing the Loire River. Rabelo over the Loire River. The next day we had to take Bryan and Carrie to Guedelon, which is one of our favorite sites in all of France. This is the 13th century castle that is being built using 13th century materials, tools, and techniques. 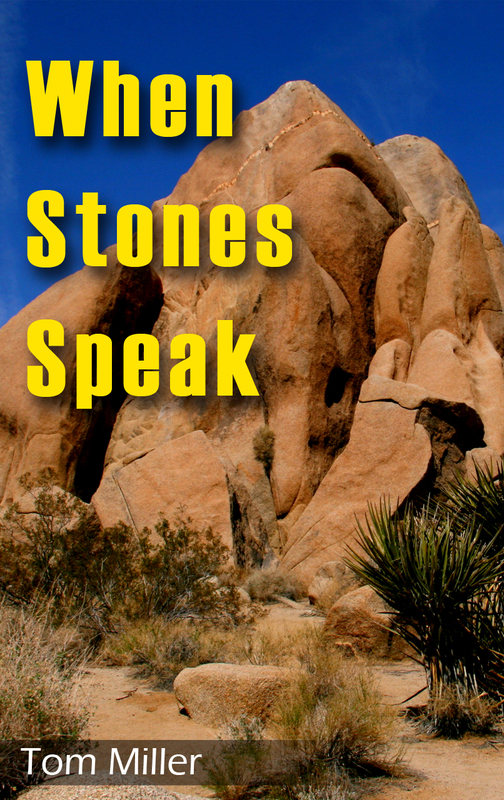 Every time we go there we learn something new, and we have visited over a half dozen times. They have approximately 70 employees of whom 45 are actually working on the castle. What we particularly enjoy is that the workmen will always stop and explain what they are doing. There is a rock quarry on site where they get the stone to build the castle. We spoke to the man in charge of the quarry. This was where they broke large rock into small rocks that could be transported to the construction site. It sounded a lot like prison. He said that besides breaking rocks for building the castle wall, once a year they mine the quarry for the iron rich ore it contains. It takes five men five days to mine, refine and process enough ore to make roughly half a kilo of iron or about one pound. He said that was about how much labor it took to make a pound of iron in the 13th century also. 800 years ago iron was so difficult to make it was worth almost as much as gold. 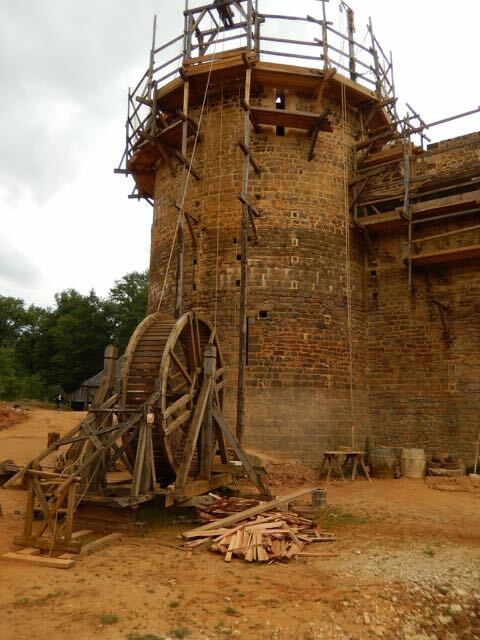 The castle at Guedelon under construction. Carving a bowl on a hand powered lathe. 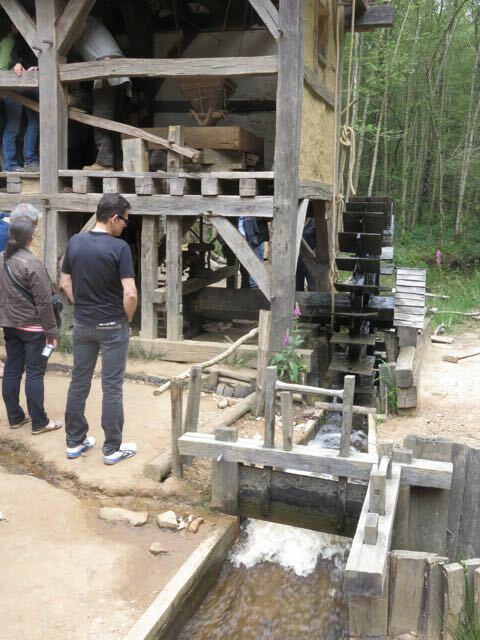 The mill used to grind grain. 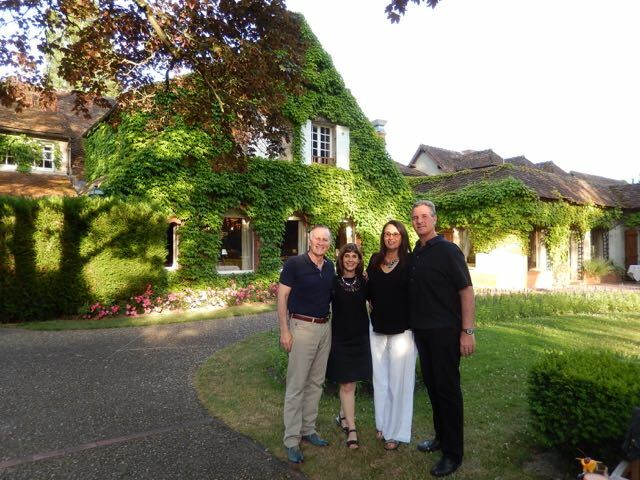 That evening Bryan and Carrie were very generous and treated us to a dinner at Auberge des Templiers. The grounds are spectacular, so we started with the house aperitif in the garden. Lisa and I have been to a number of nice restaurants, and are always asked if we would like an aperitif before dinner. We have always said no because we invariably order a bottle of wine with our meal. The waiters have always been polite, and taken us directly to our table. I’ve had the feeling that they thought we were making a mistake by missing out on the entire dinning experience. Well guess what, we were. From now on we will be enjoying an aperitif before a fancy meal. 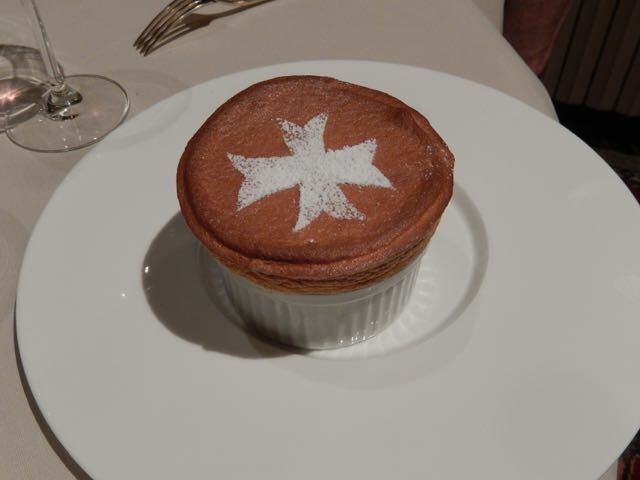 Once again it just proves that when it comes to dining,the French know how to do it right. 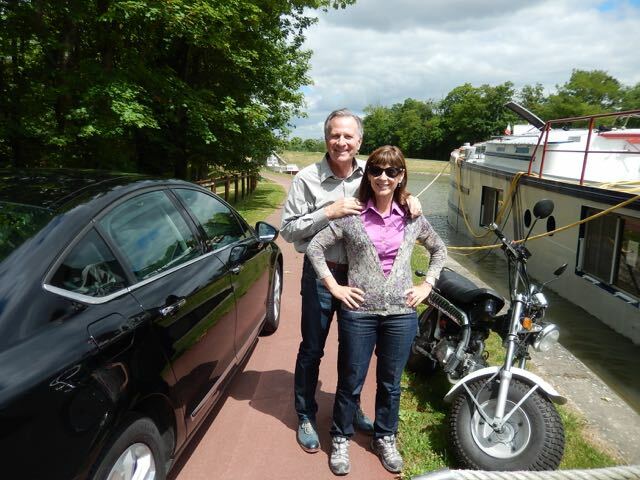 The next day we took Bryan and Carrie to Chateau Fontainebleau. Lisa and I walked the grounds while our friends toured the castle. It was a Saturday, and apparently weddings are popular at the chateau. Lisa had to stop and take pictures of a particularly beautiful bride. We met Bryan and Carrie after their tour and finished the day at a brassier drinking beer. What more could we ask for? The beautiful grounds at Auberge des Templiers. 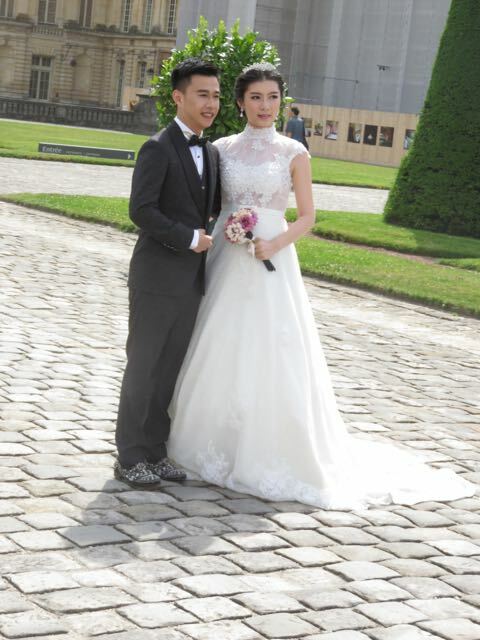 A beautiful bride and check out the groom’s shoes. Enjoying a drink at the end of the day.